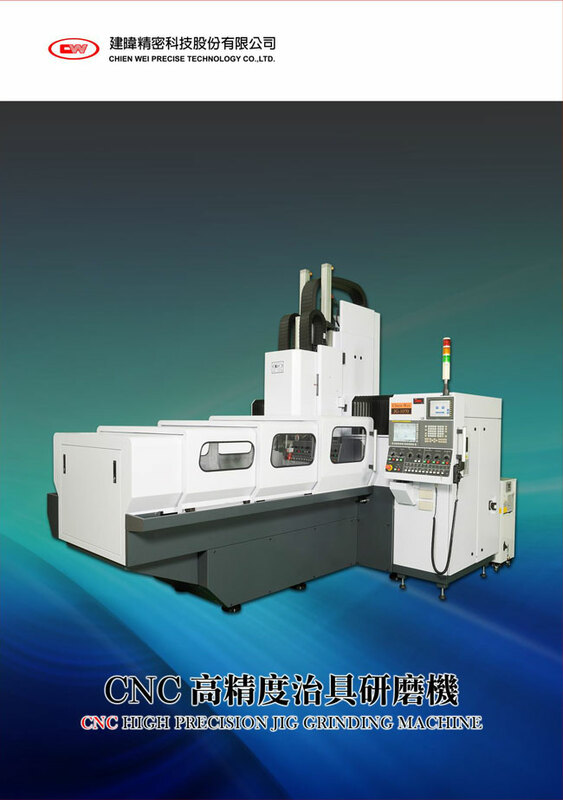 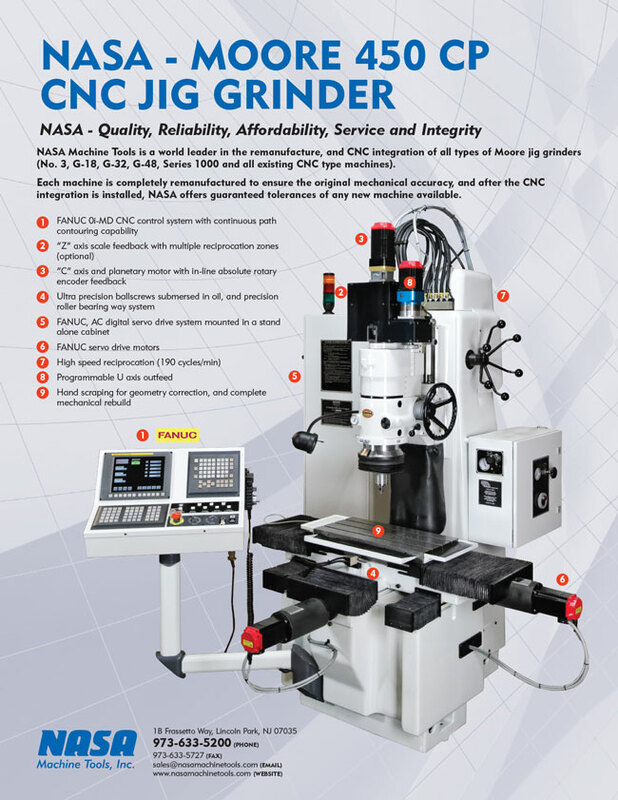 NASA Jig Grinder and CNC Producer Parts & Accessories | NASA Machine Tools, Inc.
Offering most parts at 50% off Moore's pricing. 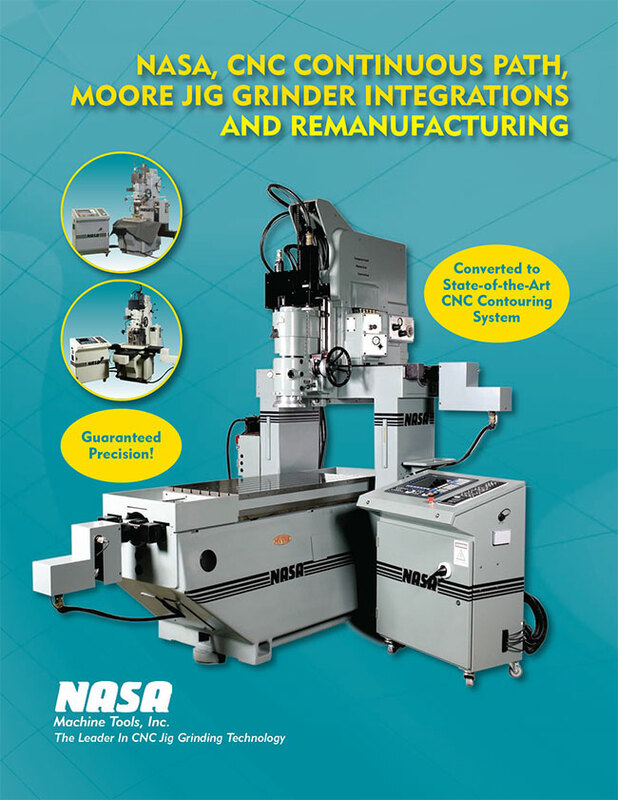 Save money and time, repair your machine the right way with NASA Machine Tools. 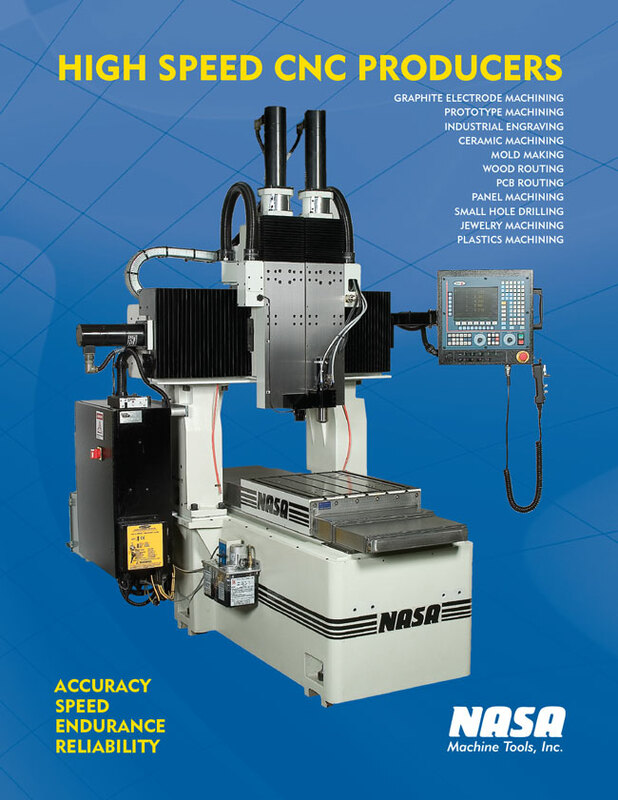 Even if a part is not listed, it may be available, so contact NASA today and let our experienced staff help you determine the most efficient and cost-effective repairs or accessories for your needs.